Sorry I guess I missed you while you were here in Taos. 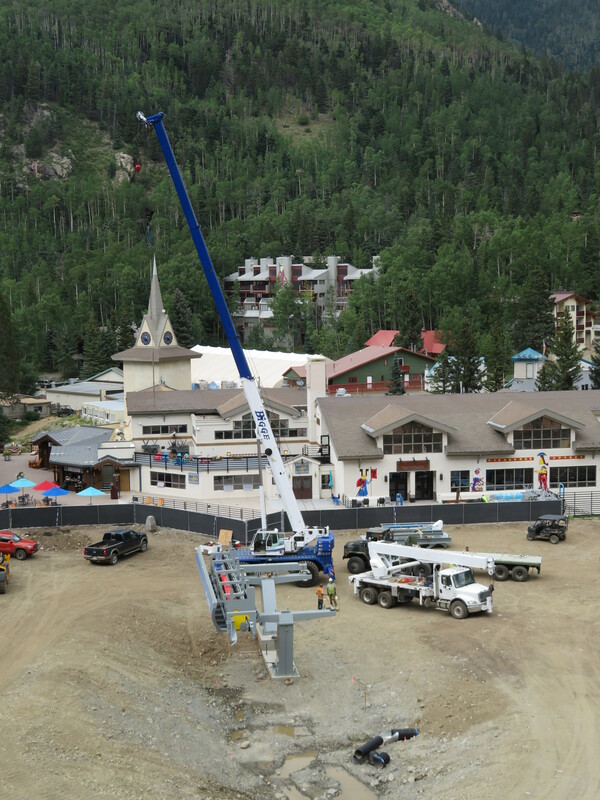 New lift is coming along great. 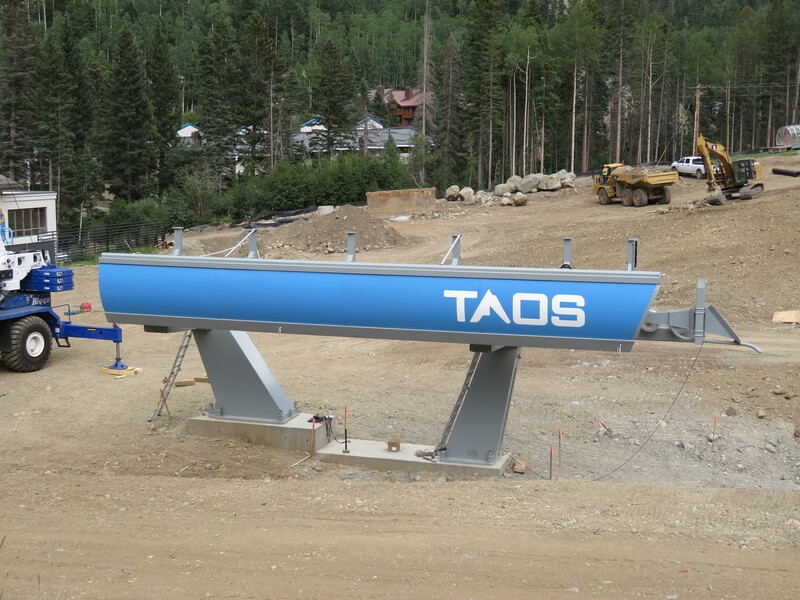 With the new HSQ at Taos, does the resort have a game plan in regards to how to get people to the top of the mountain if the lift goes down now that Lift 5 has been removed as well? 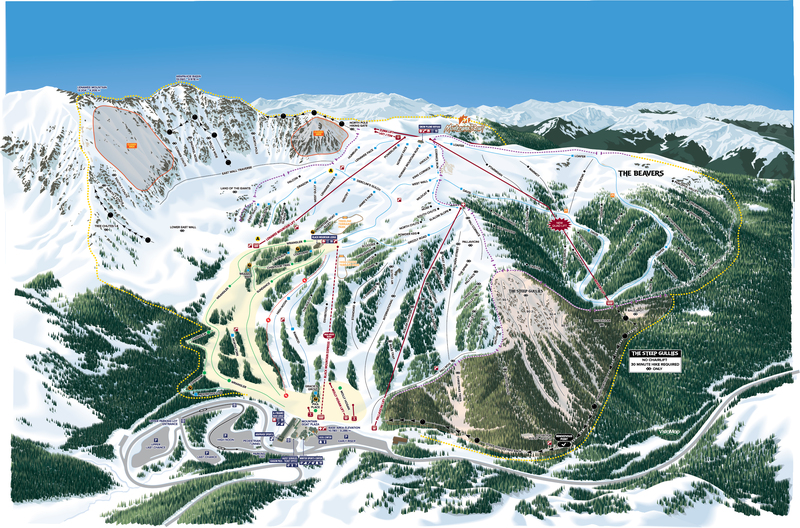 Otherwise, you will have a boring ski trip if you only can ski lower mountain. I rolled through right about the same time as the storm yesterday. 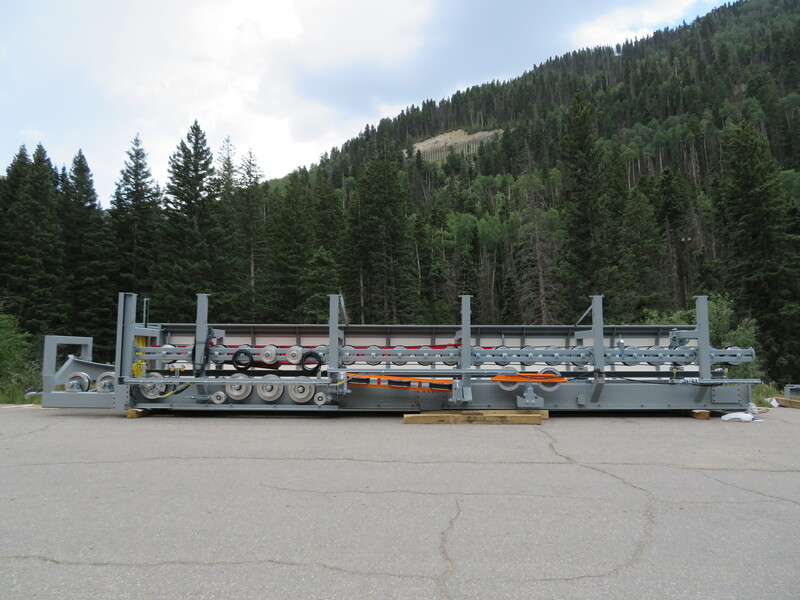 Planning to come back this winter to ride the detachable and get pictures of the rest of your lifts. I think the alignments have changed from what’s on that master plan. Any idea on what year and types of lifts? 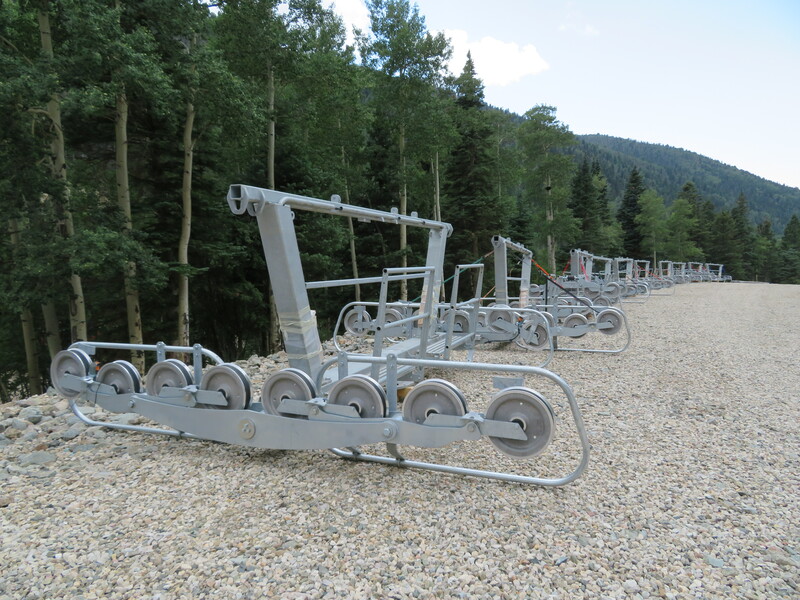 The ‘new’ lift is a 1983 VonRoll badged Hall triple, Chair 3 is a 1969 Hall double and Chair 5 is a 1978 Hall triple. Thanks. Happy to see some Hall and VR love. That’s a great shade of blue. 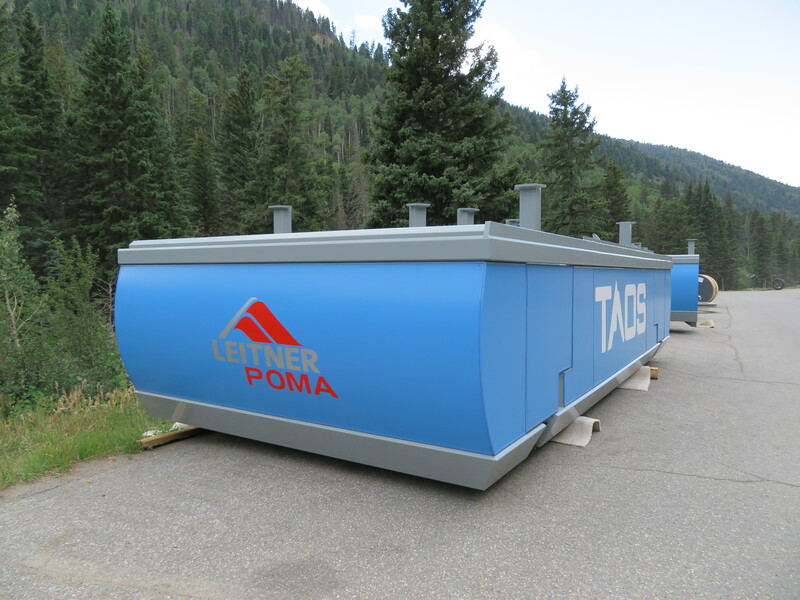 Taos really hit the mark on that one. 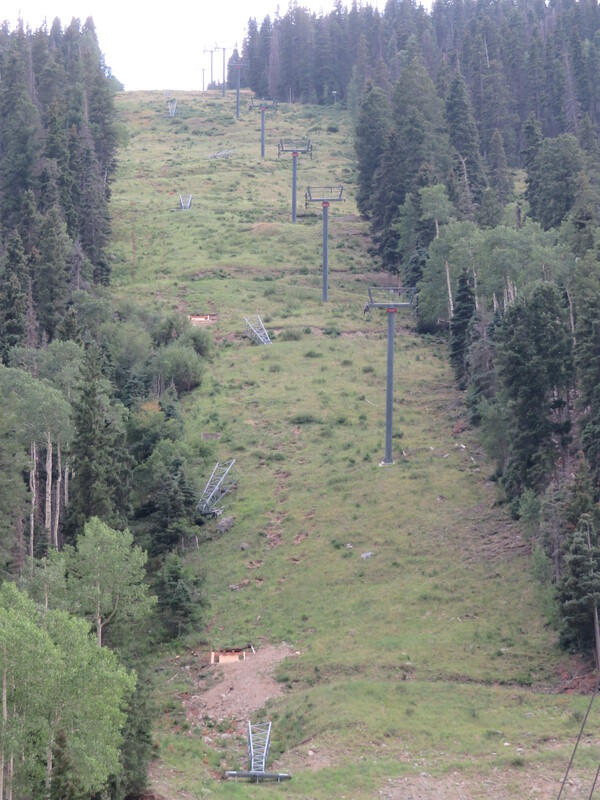 I can’t help but notice the chairs stacked up at Taos look like a Windows XP error. They probably came like that from Austria inside standard shipping containers. I live by Greek Peak, I got footage for ya. Overall, I’m happy for this replacement. 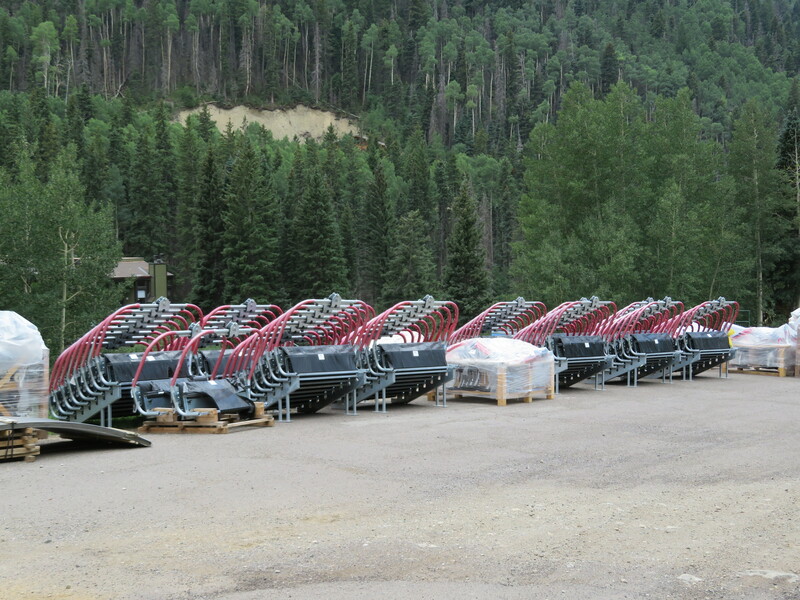 Often, Chair 3 can be seen with quite a long line. a 5-15 min wait is typical for that lift. Chair 5 footrests sound nice too, the current chairs are super squeaky!